Attention all Lovecraft fans; have you been struggling to get a concrete picture of what exactly Lovecraft’s alternative historical cosmos looks like? If so, read this book. 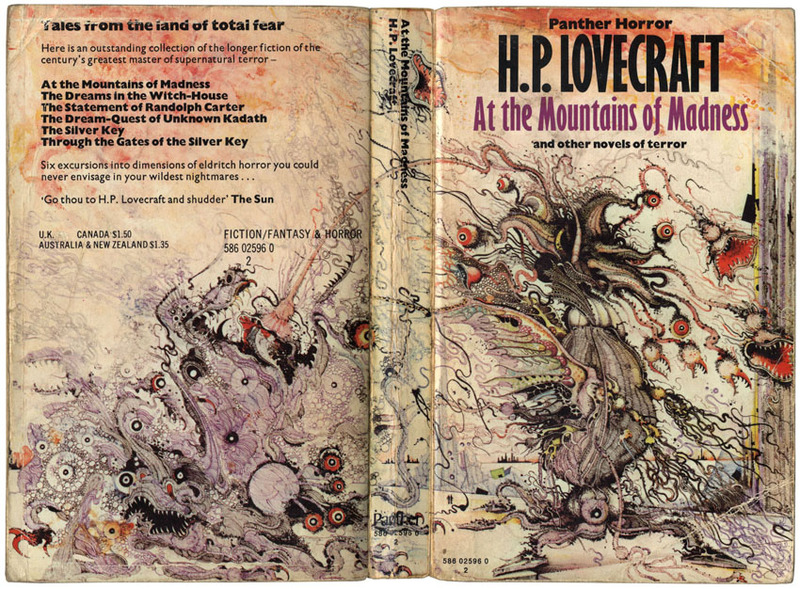 “At the Mountains of Madness” was not my favorite Lovecraft story (it was a bit too slow and complicated) but within it you will find the fullest and most detailed account of what exactly the Elder Ones are, where they came from, and what happened to them. I’m sure you could just look all this up on the internet, but isn’t it more fun to piece it together yourself? I would lightly compare this book to Tolkien’s “The Silmarillion” in that it provides a history of confusing things, but unilke “The Silmarillion” there is an actual story attached, albeit a skeletal one. This entry was posted in Book Reviews, Horror and tagged At the Mountains of Madness, book review, books, H.P. Lovecraft, horror. Bookmark the permalink.